“Pillow Foot or Paw” (Feline Plasma Cell Pododermatitis) is an autoimmune condition in cats that can leave pet owners feeling helpless. The exact cause is unknown, but like other autoimmune conditions, it is the body’s response to an antibody or infection that causes an inflammatory response. Autoimmune conditions can affect different parts of the body when they flare up. 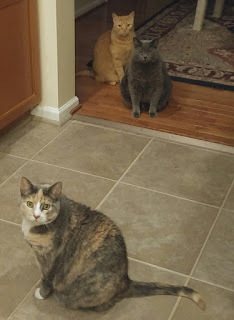 Some cats may show signs of red inflamed gums, indicating stomatitis; others may lose excessive amounts of weight due to hyperthyroidism; while others may develop Pillow Paw where excess plasma is produced and the padding of the paw becomes soft, swollen and inflamed. 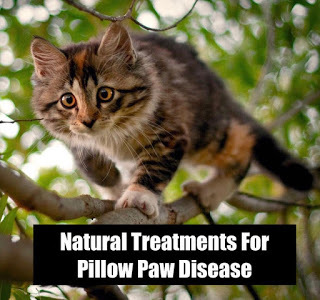 Cats of any age, gender or breed can develop Pillow Paw and if your pet has been diagnosed with Pillow Paw, it’s important to provide your pet with immune system support. Autoimmune diseases can be managed holistically by feeding your pet an anti-inflammatory diet and using supplements that help modulate the immune system. Allergens in food and stress are a big trigger. To learn more about how to help your pet with an autoimmune disease, click here. Stage 1: The paw pad may be slightly puffy and tender. Stage 2: Pads will eventually become purple and appear bruised. Stage 3: The pads become increasingly mushy and your cat will begin to “favor” the affected paws. Often, more than one paw is inflamed. Stage 4: Sores will develop and in severe cases may split open. Your vet may be able to diagnosis Pillow Paw by the initial physical exam and the classic physical symptoms. However, for confirmation, you may need to run blood tests to determine lymphocyte levels. Conventional veterinary care would most likely include antibiotics and steroids to calm the inflammation and clear any infection. Using holistic care for autoimmune conditions can greatly reduce the need to give your cat medications and better regulate their immune system and overall wellbeing. When cats have an autoimmune condition, the cat's immune system is so overloaded that their body forms antibodies to its own tissues and attacks itself. Autoimmune disease can be very challenging for veterinarians to treat and often involves the use of antibiotics and steroids to calm down the immune response. The onset of the attacks is often associated with triggers, which could include stress, exposure to vaccines, environmental chemicals, or food allergens. These contribute to a "flare-up" which may then quiet down for a period of time. Several products have been especially effective in helping cats with Pillow Foot and other autoimmune diseases such as stomatitis. Immune Harmony, Quentans, Power Probiotic and Notatum work synergistically together, helping to calm down inflammation naturally. Generally, over a few months’ time, pet owners start to see real improvements in their cat's overall demeanor and a slowing in the progression of the disease. Controlling the frequency and the level of flare-ups can transform a cat's quality of life. Each of these formulas works in different ways, and they can even be used together. 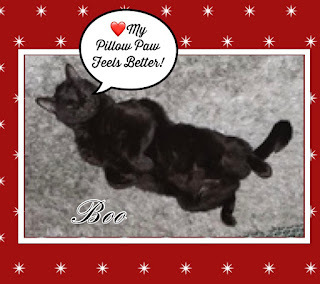 All of these products are beneficial in creating a pillow paw cat holistic treatment plan. Power Probiotic -The Power Probiotic is a multi-strain formula and is simply the best probiotic for pets. It is safe and natural without any fillers and most cats love the taste! It can be sprinkled in food, or some cats like to eat it by itself. The Power Probiotic promotes the growth of friendly bacteria throughout the intestinal tract. Why is this important? The majority of your cat's immune system resides in the intestinal tract. An autoimmune conditions such as Pillow Paw occurs due to an overactive immune system so using supplements to modulate and support, but not overstimulate the immune system is helpful. Silver Immune Support for Pets - Broad spectrum antimicrobial that can be used along with antibiotics. Safe for young kittens with upper respiratory infections. QuentaSAN drops (especially helpful for cats with viral conditions) and NotaSAN drops are two homeopathic formulas that are most effective when used together. They relieve allergy symptoms, redness from inflammation and help prevent infections from recurring. Safe and gentle, these drops act like “natural antibiotics” and are easy to administer. They are very important for the treatment of autoimmune disease as they gently reduce infection and inflammation. Very well tolerated by cats and results are generally seen within a few weeks. Immune Support Kit - Contains all three liquid formulas: Silver Immune, NotaSAN and QuentaSAN drops. 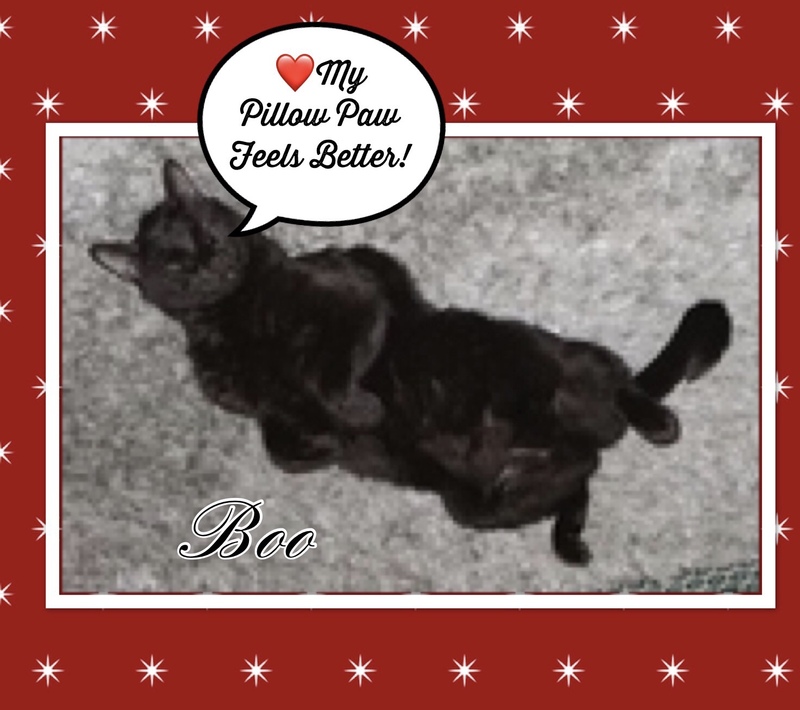 These three remedies can provide fast relief for your cat's Pillow Paw and are easy to administer. Save on the package price when you buy all three natural remedies together. Diet can also play an important role in supporting your cat’s immune system too. Even "healthy” or “organic" premium brands can be problematic if they contain ingredients that can cause inflammation, thereby flaring up the autoimmune disease. The wrong food can be a trigger that causes a flare up of symptoms. Food allergies and intolerances are the single biggest trigger for autoimmune conditions. A cat doesn't have to be sneezing or vomiting to have a food intolerance. The food may be causing inflammation and in the early stages, you may not make any connection that the flare-ups are connected to the food. Some common food allergens in cats: fish, poultry, grains, soy and dairy. Dry kibble can be a problem, because the foods are very high in carbohydrates, which turn to sugar. Cats are carnivores and feeding them as clean and natural a diet will go a long way in helping control Pillow Foot. Ask Ariel is dedicated to helping pets with autoimmune conditions. If you place an order for the products, include your cat's diet on the order form at checkout. Nutritionist Susan Blake Davis will include a diet suggestion on the packing slip based on your cat's special needs. Susan offered in-person consultations at VCA hospitals in Southern California for over 10 years, and she now uses the knowledge she gained to help pets nationwide.